What can I tell my cleaner on the first day? Here at Amy Cleaning we consider quite beneficial to always arrange a meeting with your domestic cleaner before s/he starts cleaning on a regular basis. Your requirements and expectations as a client can be very different from those of your neighbour, friend or any person you cross on the street; and this is the main reason why it is essential that you pass on this information to your cleaner before the work starts on a regular basis. 1- Explain what needs to be done in the house. I know, some people may think “it’s just cleaning what s/he has to do”; but it may be that you don’t want your domestic cleaner to clean the fridge every week or do the washing up. Explain her/him what you expect to be cleaned and how often; this will avoid confusion on a later day. Check the task sheet on our web to help you out. 2- Show cleaning products, and most importantly, where you keep all the stuff. So, domestic cleaners are not magicians. They know how to use a hoover, but they don’t know where you keep yours; so it would be better if you can show them around the house and tell them where and how to keep everything after each use. And if they will need to use your washing machine or iron, just give them a quick lesson on how to use it (we all remember how crazy we got the first day we used our state of the art-do-it-all-digital washing machine!). 3- Rubbish collection. It is part of a domestic cleaner’s job to get all rubbish out at the end of the cleaning job, that we know. But you will need to explain her/him where to put it, if s/he needs to do recycling, on which day your council is collecting the rubbish and so on. 4- Keys and alarms. We all have our tricks to open the main door to our home and we may need to show this to our new cleaner if we don’t want her/him to get stuck outside the house on her first day of cleaning. So show her and let her try her new set of keys and let her practice with the alarm code while you are beside her; that will give her confidence and you will avoid major problems in the future. 5- Specific requirements. We talked about the “What to do” but here at Amy Cleaning we believe the “How to do” is even more important. If you want your domestic cleaner to take her shoes off when entering the house, tell her; if you are an organisation freak and don’t want her to touch the papers you usually leave on the desk, then tell her; if you want her to start by cleaning the bedrooms instead of the kitchen, tell her. Explain your new cleaner what you like and dislike with no fears; believe me, they will appreciate the honesty as it will make their jobs easier. Share with us! what other information you would consider essential to communicate to your cleaner on the first meeting? This entry was posted in Hiring A Cleaner Advice and tagged cleaning tasks, domestic cleaning, hiring a cleaner, interview tips, interview with cleaner, what can I tell my cleaner on her first day on 14/03/2012 by admin. Most of us, when we think about employing a cleaner, we have the image of a happy human being who will polish every corner of our lives and leave our home silently on a trace of fresh lavender and citrus cents. But the reality is not as sweet as it looks. 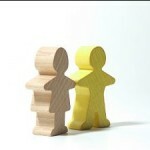 A major part of people employing a regular cleaner find the relationship difficult. -You feel guilty: Most of us have been taught by our parents and grandparents to clean up our mess. Having a cleaner to do that can make us feel like not only couch potatoes but guilty couch potatoes who know we should be the ones scrubbing the lime scale in the bathroom. -Cleaner = Mother relation: Sometimes we tend to see our mum on our domestic cleaners, specially as cleaners are usually older women. This makes us feel judged when we see a cobweb on the ceiling or the bed not done. -Standards discrepancy: We all have different ideas on how things should be done; that includes cleaners. They are human beings as us so they have their own opinion on how to clean, and this can clash with clients. -Where is my privacy?! : Your cleaner will have access to the most private areas in your home; some people does not like this idea and feel uncomfortable if their cleaners do the laundry or find some dirty pants underneath the bed. -Loss of control: The job of a regular cleaner is to organise the mess you have left, to put right what you did wrong. This can make some people feel vulnerable, thus losing the control of the relationship. From the beginning, estate what you want to be done at your home and how you want it to be done. At the same time “re-visit” these points if you feel your cleaner is not following your requirements. This entry was posted in Hiring A Cleaner Advice and tagged client-cleaner relationship, domestic cleaning, relationships on 13/10/2011 by admin. It can all seem very straightforward when you decide to get domestic help. You think through a list of requirements and either write a brief add to go on your local shop window or call an agency. However your initial interview with a cleaner, whether agency sent or found through other sources, quite often can become a one way communication with clients firing out requirements and failing to listen or ask. This then very often leads to problems in future and eventually cleaner leaving. There are lots of factors that might determine your decision on which cleaner to choose such as experience, knowledge of language, general attitude and many more. If you are going through the agency and pay an agency fee you expect to get all the factors named above taken into consideration and all the requirements met in return. One of the most common requirements for clients will always be having a cleaner come on a specific day and time. 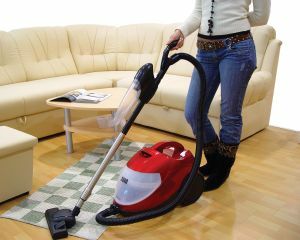 Here at Amy cleaning we have discovered that most of the clients would like their house cleaned before the weekend. Therefore Thursdays and Fridays are our busiest days. Good cleaners get fully booked for those days very quickly. We do of course understand and follow your preferences at all times, however our aim is to offer a cleaner who will stay with you long term. Flexibility with day gives clients a much wider spectrum of cleaners to choose from and therefore possibility of getting the very best that the agency has to offer increases dramatically. Clients would often choose end of the week regardless and we are very happy to serve such clients too but we always advise to take the above into consideration before making your final decision. Clients do also prefer cleaners with fluent English. Most of the agencies will not have cleaners who do not speak English, however it is important to understand that levels of their knowledge might vary greatly. Poor English may not necessary mean a bad cleaner. In fact, it is often quite the opposite. Cleaner who does not speak well, will always try her hardest and will go the extra mile for client as she will be aware that there are others with better language skills who can replace her very easily. Such cleaners are also more likely to look at cleaning as long term job rather than a temporary stop over between changing jobs therefore they will stay with clients a lot longer. Here at Amy Cleaning we also have a very multicultural office staff that is always happy to help with passing on instructions or any specific messages to your cleaner in their own native tongue in those rare cases when you may have trouble communicating to them. This entry was posted in Hiring A Cleaner Advice, How to... and tagged amy cleaning agency, best cleaner, communication problems, cross cultural communication on 24/06/2011 by admin. 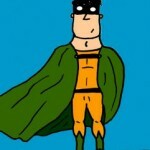 A domestic cleaner is always a great help and sometimes a real savior but she is never a superwoman. If you want a good and lasting relationship with your cleaner be realistic with your requirements and treat her with the respect that she deserves. You are paying her for professional service and for her knowledge so trust and listen to her. Perhaps your domestic cleaner does not always have perfect English but she will always, especially if you choose her through a reputable agency, have plenty of experience and will know her job. Try not to take this as invitation to fill her task sheet with never ending duties though. Your role must not be diminished as well. No job will be done well if you will not find time to buy suitable cleaning products. Ironing will not be finished to high standard if you will leave piles and piles of it. Allow plenty of time if you want the job done to good standards. Miracles do not happen, mostly they are just the result of very hard work. Be realistic. We, at Amy cleaning agency normally advise that it can take up to 1 hour to iron 5 shirts. It can take even more if they are over dried or have not been pressed the correct way previously. For example it is nearly impossible to take out creases from your shirt sleeves if they have been pressed with creases in before. It will take more than a few washes to achieve this. Change water in your iron as old water will leave lime scale marks on your clothing. Clothing stains should also be left for the dry cleaner, not a domestic cleaner to deal with. Be careful with stains on surfaces. Some stains such as lily pollen, glue, mustard, blood or ink are nearly impossible to remove. Do not expect your cleaner to be a magician. Bear in mind that scrubbing stains on carpet carries heavy risks of damage and discolouring to material. Same goes for wood, marble or any stone surfaces. Invest in good products. Avoid the so called cleaning “shortcuts” as bleach or abrasive cloths. They will cause more harm than good. There is always a reason why a cleaner is saying “no” to your request. Listen to her advice and you will have someone who will clean for you to come. This entry was posted in Hiring A Cleaner Advice and tagged amy cleaning agency, cleaning tips, domestic cleaner on 22/03/2011 by admin. If you decide to get domestic help, it is likely that you are leading a very busy lifestyle and may not be able to be there when they clean. Therefore, you will be handing over keys to your property. Naturally, you must trust the person entering your house and carry out necessary checks to put your mind at ease. Domestic cleaning industry in London is dominated by immigrant workers, therefore it is important to keep yourself up to date with employment law so you would not make crucial mistakes that may result in penalties. If you have decided to go through a cleaning agency, there might be an option for all this to be done by them. We at Amy Cleaning carry out careful vetting with each applicant; all documents are being monitored on a daily basis. If you decide to go solo and hire a cleaner yourself, there are few main immigration rules that you should know. A2 nationals (Bulgarians or Romanians) are free to come to the UK but they do need work permits. Most of Romanians and Bulgarians walking through our agency doors will already have domestic cleaner/ student visa or blue or yellow cards permitting them work. If this will not be the case, they would need to apply for self employment straight away in order to work for us. Same as with A8 nationals, Romanians and Bulgarians no longer need permission to take on work after they have worked legally for 12 months. They do not need permit to work as self employed, but they do have to register. Current rules state that anyone working on a self employed basis must register within three months of starting. Foreign students: most of student visas will allow 10 or 20 hours a week work during term time and full-time work during vacation periods. Be vigilant though as new types of visa’s and permits are issued everyday and new employment laws are being introduced. Not knowing will not protect you from responsibility. This entry was posted in Hiring A Cleaner Advice and tagged amy cleaning agency, cleaning agency, emloyment rules, hiring domestic cleaner, vetting my house cleaner on 27/01/2011 by admin. Sustaining your cleaner’s standards is a very challenging task when you have a person cleaning your home on regular basis. You may feel that her standards have dropped or haven’t really improved since she started. We have some tips on how to make sure that you are helping your cleaner to deliver the best of her! The most important point is communication: the more you tell your cleaner what you like and what you don’t like the better she will be. Don’t wait until you have enough and cannot stand the way she is cleaning your lovely home. Is very useful to leave notes (task sheets) for your cleaner if you are not home when she’s working so that she can follow your requirements. This will also help them to manage their time and finish within the expected amount of hours. And remember: an organized home is easier for a cleaner to do her job and they will achieve more in a shorter period of time. This entry was posted in Hiring A Cleaner Advice, How to... and tagged achieve more with your cleaner, Amy Cleaning tips on how to get the best out of cleaner, keeping your house tidy, Sustaining your cleaner's standards on 21/10/2010 by admin. At http://www.amycleaning.co.uk we receive a lot of requests from our clients to organise first meetings with their new cleaners. It is understandable that, even if you know that you will be having a professional domestic cleaner, you would like to have and idea of who will be going into your house on a regular basis. Find on this article some tips on what to look for and what to say on a first meeting with your cleaner. -First things first! your new cleaner must be on time for the meeting. -What she doesn’t say. Non verbal communication is even more important that what she says to you. So if she is yawning or looking around while you are explaining where the hoover is kept most probably she won’t do a good job. –Pen and paper. Domestic cleaners are busy people; they tend to work for different clients on the same week. If your cleaner writes down your requirements and any other information needed she is proving to be a very organised professional. 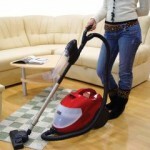 We expect all domestic cleaners to do an excellent job from day one. But we can always help them a little bit by just explaining our priorities and specific expectations. -Tell your new cleaner if you consider ironing more important than cleaning, or vice versa, so she can organise the work based on this. -Tell your new cleaner if you will leave any note with specific tasks. -Tell your new cleaner if you do any kind of recycling in the house and where to put the rubbish. -Tell your new cleaner where you keep the chemicals/hoover/mop/cloths and anything she may need. -Tell your new cleaner about the alarm and the use of the keys (make sure she practice with you in case there is any special trick to open the front door!). Finding a magic cleaner is difficult sometimes, but these tips may help you to have an idea on how your new cleaner will respond to different situations, saving you any hassle in the future. This entry was posted in Hiring A Cleaner Advice and tagged cleaning tips, domestic cleaner, first meeting, how to organise a first meeting on 24/06/2010 by admin. Domestic cleaners are always keen to provide great customer service. It is part of their job! A regular cleaner will always start cleaning your house with dedication and with time will start doing extra tasks around the house without you telling her anything, such as watering the plants. This “going the extra mile” that some domestic cleaners show is a really good thing for customers that are expecting their cleaners to do extra tasks around the house when they come around. But if you just want to have your house clean, then seeing your domestic cleaner “wasting” time doing trivial things may be very upsetting. Imagine: you are happy with your cleaner but you end up letting her stay longer and paying her more because she cannot finish on time trying to make your house spotless! When you hired a domestic cleaner you have to be very specific about what needs to be done in your house. This will help you organise the cleaning properly on the time available without the need to pay for extra hours. – Special requests such as deep cleanings. So think about your priorities. It may be that you are happy for the cleaner not to dust the rooms one day if that means having the oven deep cleaned. Or maybe you do not want your cleaner to pick your “undies” from underneath the bed and instead you can do it yourself on the day before, allowing her to concentrate on the cleaning. The list of tasks when talking about house cleaning is endless. This small list will give you some food for thought and hopefully may help you organise the cleaning on a more effective way. This entry was posted in Hiring A Cleaner Advice and tagged domestic cleaner, domestic cleaning agency, house cleaning, saving money, saving time on 23/11/2009 by admin. These days we have been flooded with news about the Home Office and employment rules regarding immigrants. It is always a tricky issue on the domestic cleaning sector and people are very concerned about their domestic cleaners and their right to work in this country. 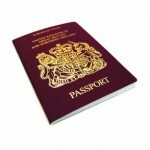 Checking passports and documents is part of what you should do when having a domestic cleaner working for you. On the interview it is important to make the correct checks and the necessary photocopies to avoid any future problems. This week at http://www.amycleaning.co.uk we have had calls from some clients asking about our vetting procedure. Luckily we are on the top in terms of vetting and checking documents for our domestic cleaners! Because we know the importance of vetting, we have make it our priority when interviewing applicants; and let me tell you, it works! Would you like a quick tip? It is never too late to vet your cleaner, so do it as soon as possible. If you are not sure on how to do it, rely on the experience of a domestic cleaning agency, it will save you a lot of hassle. This entry was posted in Hiring A Cleaner Advice and tagged amy cleaning, checking documents, domestic cleaner, domestic cleaning agency, house cleaning, immigrant cleaner, immigration documents, vetting my house cleaner, vetting procedure on 25/09/2009 by admin.